Ice-cream is one of those treats that not only kids but adults alike love. It is a high calorie, high saturated fat and high sugar delight. There are however some ice-creams that are being made which contain less of the things just mentioned, i.e. sugar, calories and saturated fat. These include non-dairy , low-fat, sherbet and (**) ice-creams. The non-dairy ice-creams are those typically made from soy (soy milk). They are a lower calorie and fat option as compared to the regular ice-creams, but they have the same amount of nutrients. Reduced fat, light or low-fat ice-creams also contain less fat and lower calories than regular ice-creams with some of the health benefits. Sherbet will have less milk than regular ice-cream. It's more than apparent that no one eats ice-cream for health benefits! It's just one of those things we indulge in. But when you want to eat healthy, you may do so time and again not everyday. It being a dairy product, ice-cream is obviously a source of calcium, protein and some vitamins. What's so important about these you may wonder? Calcium is essential for many things in our body including promoting strong bones and teeth. It is said that 99% of your body's calcium is found in your bones and teeth, helping with functional and structural support. When your body is not receiving adequate calcium, it will draw it from your body's reserves or storage which are your bones and teeth. When this happens, it may lead to weak, brittle teeth and bones (osteoporosis). Protein is one of those nutrients that are absolutely essential to have. Our bodies do not store protein anywhere so it is important to keep replenishing the supplies through the foods we eat. As we mentioned earlier, most dairy products are sources of protein. A few examples of other sources of protein include nuts, meat, eggs, beans and tofu. So what exactly does protein do for and in your body? One of the things it does is aid in the synthesis and repair of parts of the body such as muscles, cartilage, bones, skin and blood. This is one of the other reasons why having a food source of protein after strenuous exercise is important. Protein will help to repair any tissue and muscle tear.If you want to include your ice-cream in your after-workout snack, you may add some fruits, vegetables or nuts and make a delicious smoothie or shake. Still on protein, did you know that your hair and nails are made out of protein, entirely! It's protein that helps them to grow. The Vitamins in ice-cream, Vitamin A, B2 and B12 all play different but important roles in the body. Vitamin A helps to provide proper and healthy functionality of your eyes, immune function as well as promoting healthy skin and bones. The B-Vitamins (B2 and B12) help with the breaking down of fats, proteins and carbohydrates in your body amongst other things. We will now take a look at some ice cream nutrition facts. The percent daily values (DV) are based on a 2,000 calorie diet. Your values may be higher or lower depending on your daily calorie needs. This ice-cream is a source of Vitamin A, Protein, Carbohydrate and a good source of Calcium. It is also not so bad in its fat content. Ingredients: Milk, Cream, Sugar, Whey, Natural Flavor, Natural Tara Gum. Chocolate Cookie Pieces: Sugar, Wheat Flour, Palm Oil, Palm Kernel Oil, Cocoa (Processed With Alkali), Salt, Baking Soda, Soy Lecithin, Natural Flavor. 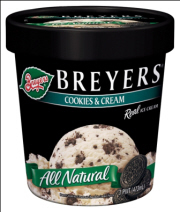 When it comes to the nutrition facts, Breyer's cookies and cream ice-cream is fairly high in its calories compared to Ben and Jerry's Chip Cookie Dough Original Ice-Cream. It's also a source of Vitamin A, Protein, Calcium and Carbohydrates although at smaller amounts when compared to the one above. The ice cream nutrition facts of Hershey's mint chocolate chip reveal that it contains an even higher amount of saturated fat and cholesterol than Breyer's Cookies and Cream Ice-Cream. 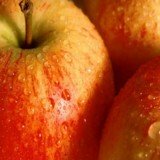 It however contains slightly less sugar and is also a source of Carbohydrate and Protein. Amazingly, it is not a substantial source of Calcium! When considering Hershey's fudge-o bar ice cream and its nutrition facts, we can see that it contains less calories and fat but contains more sugar! It is also a source of Carbohydrate, Protein and a pretty good source of Calcium, providing you with 15% of the recommended daily allowance of the mineral. Hood's ice-cream bar is one of the few ice-creams that are a source of dietary fiber as well as iron. In addition to these it is also a source of Calcium, Vitamin A and Protein. It contains very little sodium and fair in the amount of sugar contained but is a bit high on its saturated fat content. Blue bell's homemade vanilla ice cream nutrition facts reveal that it's moderate to high in its fat content. It also contains quite a bit of sugar and when compared to most of the ice-creams here it is high in calories. It however is a source of Carbohydrate, Protein, Vitamins A and C as well as Calcium. These ice cream nutrition facts for Haagen-Daz chocolate peanut butter show that it is pretty high in calories, a whooping 360 calories! It is also high in its saturated fat, sugar and sodium content. It however is a good source of Protein, Vitamin A, Calcium and Iron. 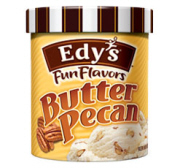 Edy's butter pecan ice-cream is fair in terms of its calories and perhaps saturated fat content. The sugar content is moderate to high. It is a source of Dietary Fiber, Protein and Calcium. 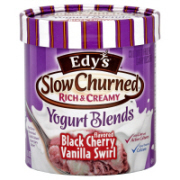 This frozen products contains active yogurt cultures which are great for your digestive system. It's also fair in calories and saturated fat, as well as being low in its sodium and cholesterol content. 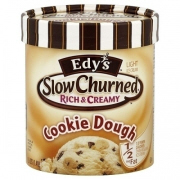 It is a light vanilla ice cream that contains cookie dough pieces and chocolaty. 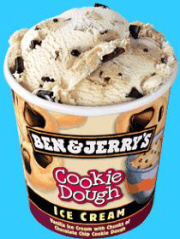 The great thing is that it contains 50% less fat and 30% fewer calories than regular ice cream. It is also a source of Protein, Calcium and Carbohydrates. Nestle's drumstick ice cream nutrition facts show that it is basically a source of Protein and Carbohydrates. It is also fair in its sugar content, which is a plus for it. 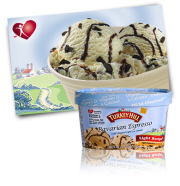 The allergens contained in Turkey Hill's bravarian espresso ice-cream include milk, coconut and soy. It however is gluten-free and contains 57% less fat and 20% fewer calories than regular ice cream. In order to try and meet the demands of those who may want "healthier" options, the fat was reduced from 7g to 3g. Calories reduced from 150 to 120. These ice cream nutrition facts show that it is a very good source of Calcium, providing you with 20% of your recommended daily value of the mineral. The only challenge with this ice cream is that its sugar content is a bit on the high side. 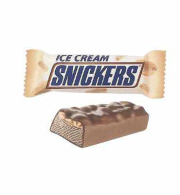 Snickers bar ice cream has the same amount of calories as Blue Bell's Homemade Vanilla Ice Cream. It is also a source of Dietary Fiber, Protein, Vitamin A and Calcium. This vanilla ice cream sandwich is fair in its calories and does not contain any saturated fat. It is also a source of protein, vitamin A, Calcium and Iron. 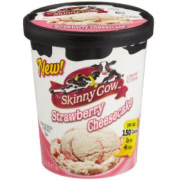 Ice cream nutrition facts of skinny cow's strawberry cheesecake reveal that it is moderate in terms of its calories and low in fat content. It is also a source of protein, vitamin A, Iron and a good source of Calcium. It however is pretty high in its sugar content. 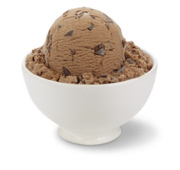 The fudge cone ice-cream is a good source of Dietary Fiber, Protein and Calcium. The sugar is what you may need to watch out for. We all know ice-cream is a yummy treat but be weary not to over-indulge as this may lead to several health risks such as diabetes due to its high sugar content.